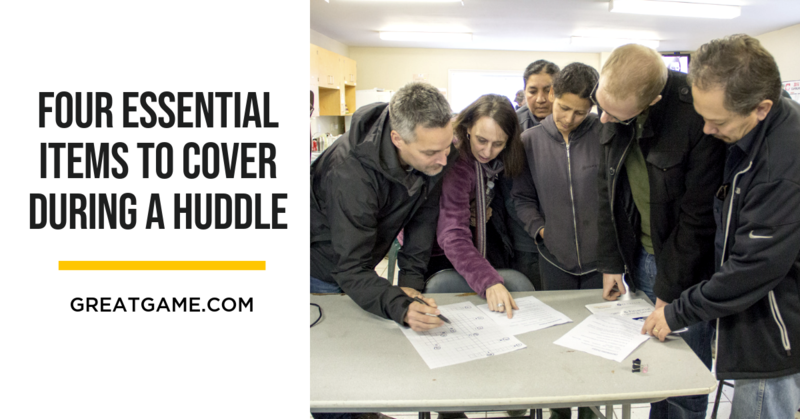 Huddles are a hybrid of typical staff meetings, not unlike what you might see during downtime at any athletic event. Their purpose is to share information while inspiring and motivating the team. In The Great Game, a Huddle is a structured meeting designed to keep the players focused on, informed about and feeling involved in The Game.